Tyler Kelley, of Sulphur Bluff, left, is a third-semester advanced student in the PJC-Sulphur Springs Center welding program. 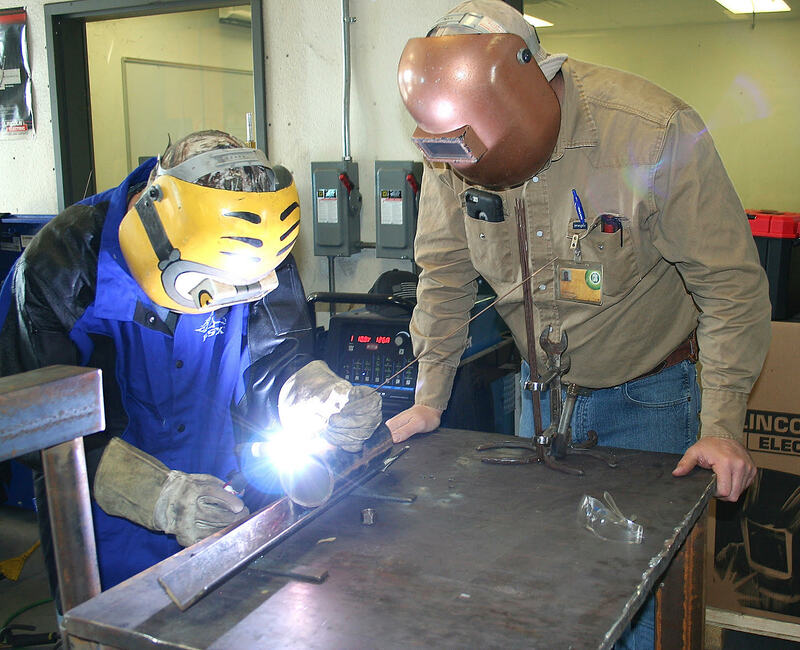 Above he is practicing gas tungsten arc welding (GTAW) under the direction of Instructor John Plemons. For information about welding classes or other workforce educational programs, call 903-885-1232.